It’s back to school and that means bag lunches. Or maybe like me, you don’t have school age kids, but still want to start packing lunch to take to work. It’s easy to get in a rut, but these three cookbooks offer many ways to jazz up your lunchbox. 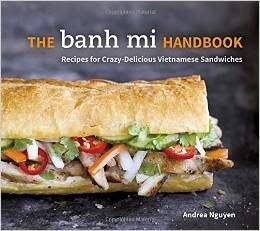 The Banh Mi Handbook is the latest book from Andrea Nguyen. In the past she has written about Vietnamese food, dumplings and tofu, perhaps convincing you to make your own. But I had to wonder, when I can get a terrific banh mi sandwich for just a couple bucks, would I want to make my own? The answer is YES because Nguyen goes well beyond what you might find at a Vietnamese sandwich shop. What I absolutely love the most about this book in addition to the versatility is the focus on ease and simplicity. There are lots of shortcuts and no shame if you choose to buy bread or mayonnaise or doctor some liverwurst to make a tasty pate. The book offers the basics and traditional recipes for fixings like carrot and daikon pickles, headcheese terrine and Chinese barbecue pork but also offers tons of non-traditional options too to keep things interesting. Go vegetarian with coconut curry tofu or an edamame pate. I know I’ll be making the warm sardine and tomato sauce sandwich and the oven fried chicken katsu. These are sandwiches that will make your mouth water! Mason Jar Salads, a slim volume of lunch and breakfast worthy recipes includes why-didn’t-I think-of-that ideas that are perfect for when you want to bring something delicious from home. The book includes smoothies, soups, dips and more. 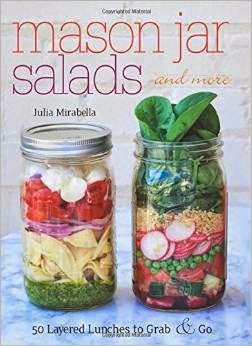 But salads are the main event and author Julia Mirabella comes up with very creative layered ones like spinach, blueberry and blue cheese, or barley and zucchini salad and even a layered cobb salad. Dressing layered on the bottom of the jar keeps everything from getting soggy and makes shaking the new tossing. So smart! 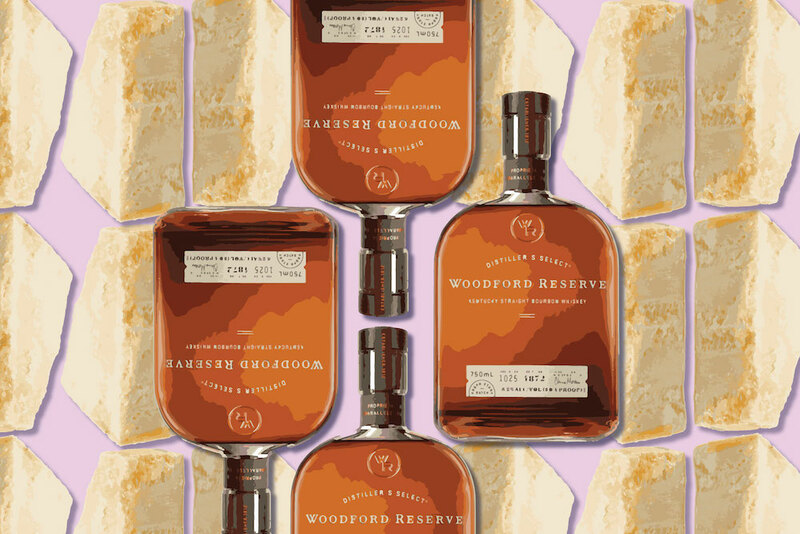 This book will give your lunch a jolt. A traditional Japanese lunch is bento, or box lunch. As someone who loves variety, I go crazy for bento boxes, especially the ones they sell at railway stations in Japan. They often contain 5 or 6 small nibbles like flavored rice balls, pickles, salads and all kinds of meats and vegetables. They might look complicated but they don’t have to be. That’s the message behind Effortless Bento. 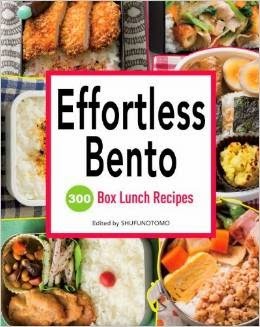 This book shows you how to make ahead over 300 items so you can create a tasty and exciting lunch in no time. The full color pictures really help to show how a few items come together to make a meal. There are single dish bentos too like dry curry bento. As long as you have access to a refrigerator, you can make all kinds of delectable vegetable and meat dishes, many can even be frozen ahead of time. The one caveat about this book is that the recipes are Asian, though not all Japanese, some do require a trip to an Asian market for specialty ingredients like burdock, dried shrimp or lotus root. But plenty of recipes use only 3-5 very basic ingredients. Disclaimer: These books were provided as review copies and this post includes affiliate links.